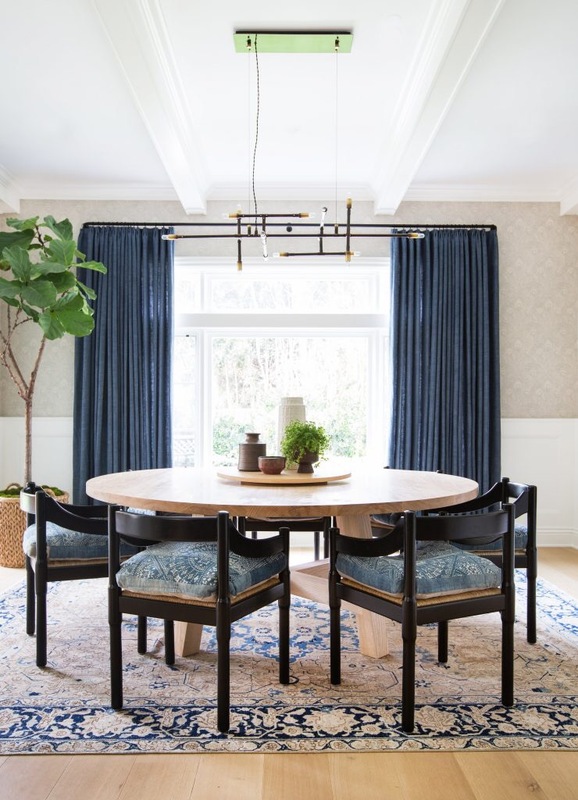 I’ve fallen hard for my latest design crush, the work of Amber Lewis of Amber Interiors. Amber and her team create spaces that are so beautiful and inviting – I want to move into every room! While each of their projects has a unique personality and can range in feel from highly-polished to industrial to beachy to bohemian, there is a signature that unifies all of the designs. While I may not quite have the secret sauce, I did decide to identify the elements that make her spaces so distinctive. I started doing this when I read the Design Cookbook and found it really helps to list out the elements of a space when you are trying to create a certain look and feel. 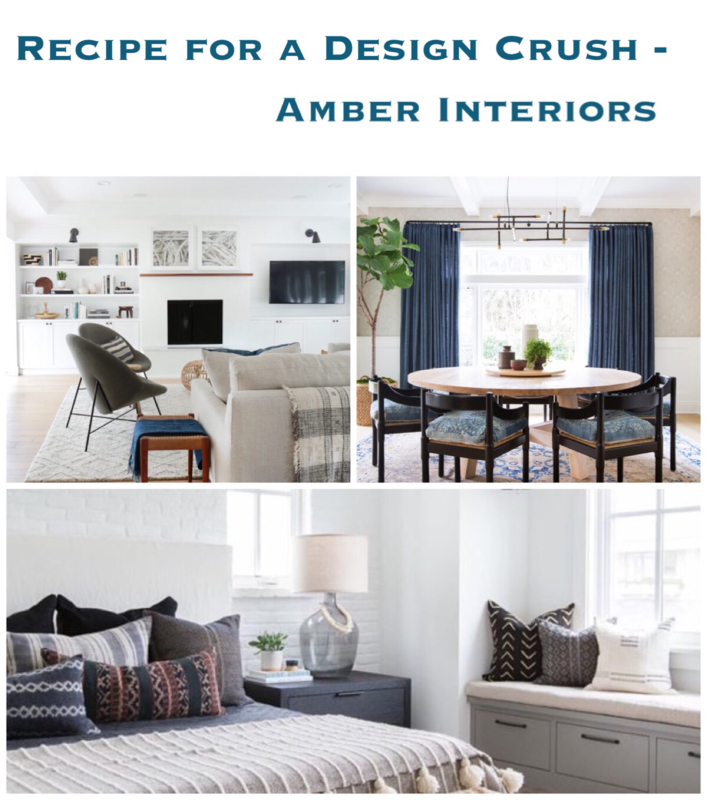 Along with my analysis of my favorite Amber Interiors rooms, this post contains links, including some affiliate links, to products that can help you create a space inspired by Amber Interiors! Amber also has her own shoppe, where you can find more beautiful furniture and accessories. Thin Persian, Kilim, and Dhurrie rugs with a traditional or more modern graphic design are an absolute signature of Amber Interiors, and you see them in almost every space they design. Hope you are, too, are feeling inspired by my design crush recipe!